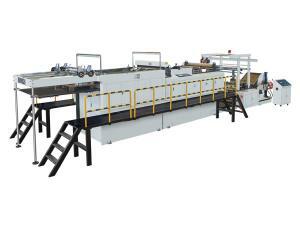 Rotary Sheet Cutting Machine This is a high level rotary sheet cutting machine designed for cigarettes package industry. PLC center control system is utilized for its main electrical system. 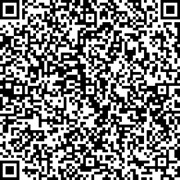 Meanwhile, the machine has a man-machine interface to offer dynamic display of operation conditions. 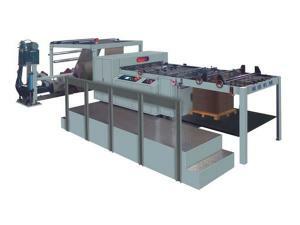 Computerized Sheet Cutting Machine HQD-1100CS-3 1. Center computer control (PLC), person-machine interface operation, dynamic display. Peeling Rewinding Machine In addition, this product is also designed with other functions such as automatic deviation rectification, automatic counting, automatic acceleration and deceleration, etc. 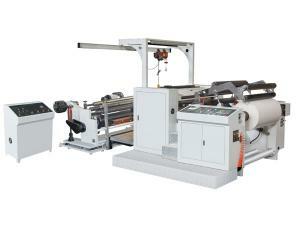 The cutting rewinding machine has nice appearance, compact structure, high automation, and convenient operation. Sheet Cutting Machine (GQD1400) Step-less adjustment for paper feeding allowing single sheet feeding and smooth overlapping. 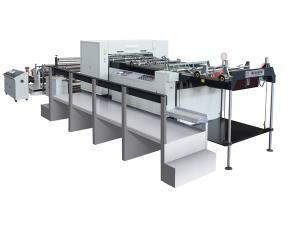 Automatic patting for paper collecting systems, with automatic counting and label application functions.